1. 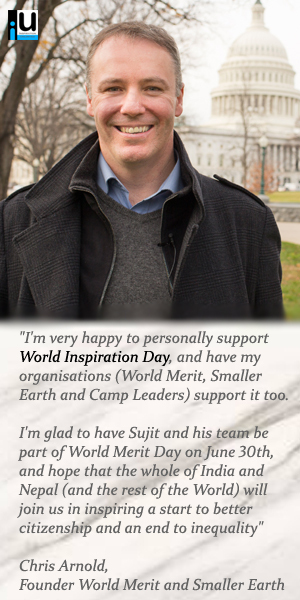 Why should I support World Inspiration Day? Every person born on this planet is liable for the happiness of the others. Just like we enjoy the fruits of the works of our ancestors and civilizations, we should support every cause that can benefit the society around us and in the modern day definition society means the globe. 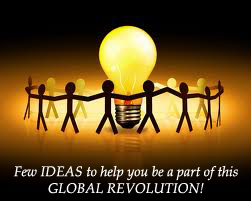 Hence each one of us should support such global initiatives and take part in global celebrations. 2. I am student and busy with exams on April 23rd but want to be a part of the celebrations. How can I? There are simple ways of celebrating World Inspiration Day listed in the link such as smiling throughout the day, wishing everyone you meet energetically etc. You can takethe ideas from this link. 3. 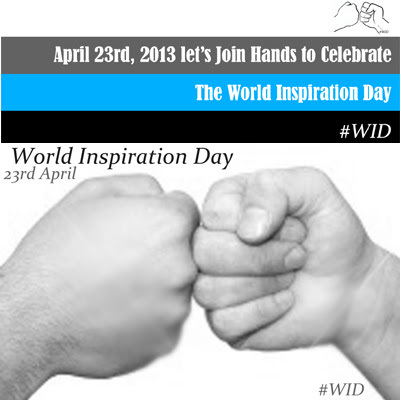 I am busy with my office work on April 23rd but want to celebrate World Inspiration Day. How can I? You don’t have to sacrifice something to gain something, you just have to manage. 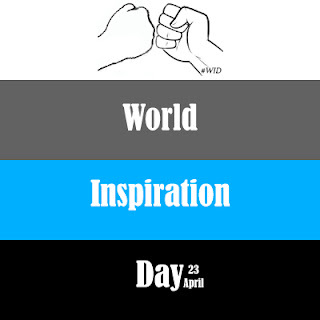 You can just spread the message of World Inspiration Day through your energetic wishes and smiling faces. You can add the hash tag #WID with all your posts and tweets if you’re attached to social media. You can take up any activity as described in the link and do it within one week of World Inspiration Day marking your support for the same. 4. I don’t have anyone to support me. What can I do alone? Man was never promised to receive all the support of the world though he is lucky enough in most cases. Our dreams can be fulfilled only by our very own efforts. The dreamers have always dreamt and the universe has sanctioned their requests and turned them into reality. Likewise you can start your work all alone with your vision in your eyes and the universe shall send the workforce behind you. IU (iuworldwide@gmail.com) shall always be happy to help you if the need arises. 5. I don’t have money to contribute. Can I celebrate WID (World Inspiration day) without spending money? If money was the root of all work then lot of things would have remained undone on this planet. Beyond money there is something called as service. Service to mankind is the highest level of contribution that can pay tribute to the celebrations of WID. 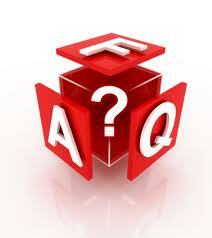 If you have more questions share them in comments here! we will be glad to clear them, if that inspires you! 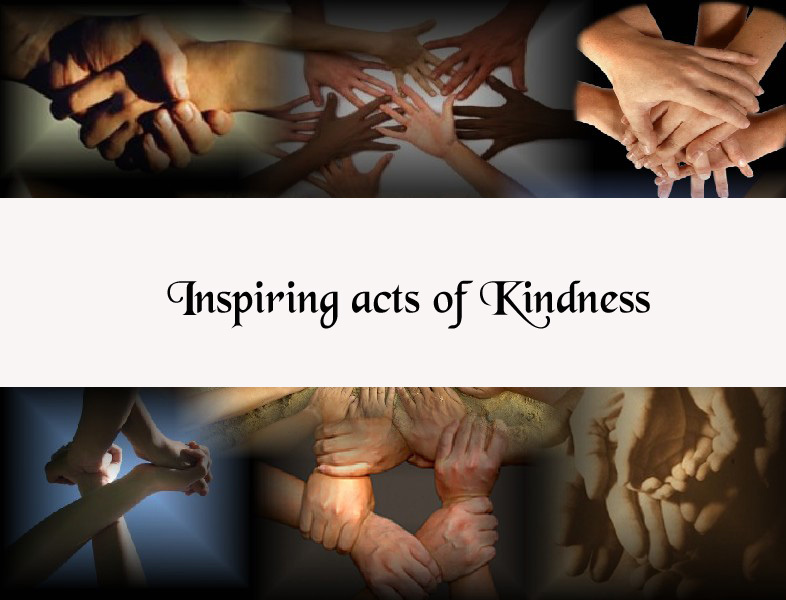 Small Inspiring Acts Of Kindness: the ones that are easy to do but difficult to forget! Make donations to charity and involve in a nearby community project. April 23, 2013 - The World Inspiration Day is being celebrated across the globe!